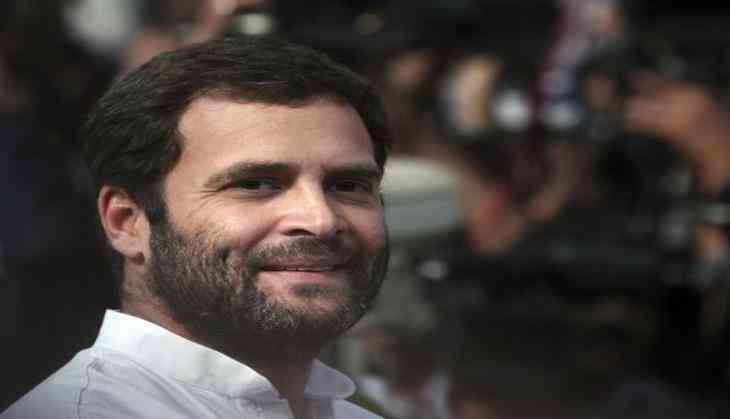 Congress President Rahul Gandhi on Monday flew back to India from Italy after meeting his maternal grandmother, according to the party sources. The return of the Gandhi scion has come amid criticism for not being with his party when it suffered losses in North East. The Bharatiya Janata Party (BJP) had hit out at Rahul for leaving his party workers ahead of Meghalaya, Tripura and Nagaland assembly elections results. However, shielding the party president, the Congress party asserted that it is not a crime to visit one's grandmother. Earlier in the day, Rahul took to Twitter and said the Congress party respects the mandate of the people of Tripura, Nagaland and Meghalaya. Despite having the highest share of seats in the recently held Assembly Polls in Meghalaya, the Congress has been unable to form the government, as the National People's Party (NPP)-led coalition bagged 34 seats, thus claiming stake to form the state government under the leadership of Conrad Sangma. Showcasing a remarkable performance, the BJP and allies swept Tripura and Nagaland with a thumping majority.